Michael McMaster was doing a recce for the upcoming Secret Beach visit on Saturday 17th November, when he came across a Lace Monitor digging at a termite mound. Like the Rosenberg's Monitor, these monitors often dig holes into termite mounds and lay their eggs there. 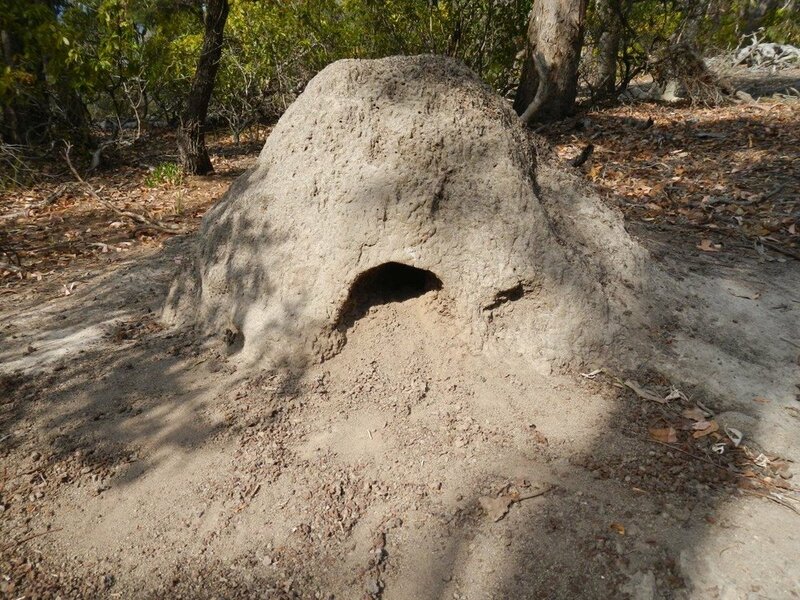 The termites seem to accept the monitor eggs and the mound must keep the eggs at a favourable temperature for the eggs to hatch. Michael said there was no termite activity at this site, so perhaps it was an abandoned mound.